Zippo Vintage Brass Lighter with Slashes | BUDK.com - Knives & Swords At The Lowest Prices! A Zippo is one of the handiest accessories you&apos;ll ever own. Features a windproof design and vintage brass finish. Beautiful lighter. Looks classy as hell, but i'm not much of a classy guy, so it sits nice and pretty with the rest of my collection. Alright, I just got this in the mail today, and I want to review this quickly. Shipping was a little longer than usual this time. It was still fairly quick, but I've gotten bigger packages from True Swords faster. It wasn't that much longer, just a day longer than average. Probably just a minor issue, but I won't hold that against True Swords. Either way, it still got here pretty fast. My Zippo came in mint condition, with a nice, smooth, polished finish. The cap, or whatever you want to call it, is thinner than I thought it'd be. I thought it'd be thicker, but oh well. The only problem this might cause is that it might dent or bend easily. So far, so good though. Another thing that should have been stated in the item description, which is the cause of a slightly negative review I found on a Zippo (I think it was this one, in fact). Someone had said that the wick needed to be replaced. Not true. It just simply does not come with fuel when shipped. This is, of course, for safety reasons, so I can understand that, and I won't hold that against True Swords or the company either. If you try to light it right out of the box, you may damage the wick and cause unnecessary wear to the flint. Now, if you want instructions on HOW to fill it with fuel, you'll have to take out the tiny booklet on the inside of the LID of the box (unless yours came loose). It's rather hidden at first, because it looks like part of the box, but it came out, and shows you how to refuel it, as well as tell you where to store spare flints. Great product, came reasonably fast, and in mint condition. For this, I give it a 5 out of 5. I just wish True Swords had listed that it doesn't come with fuel. 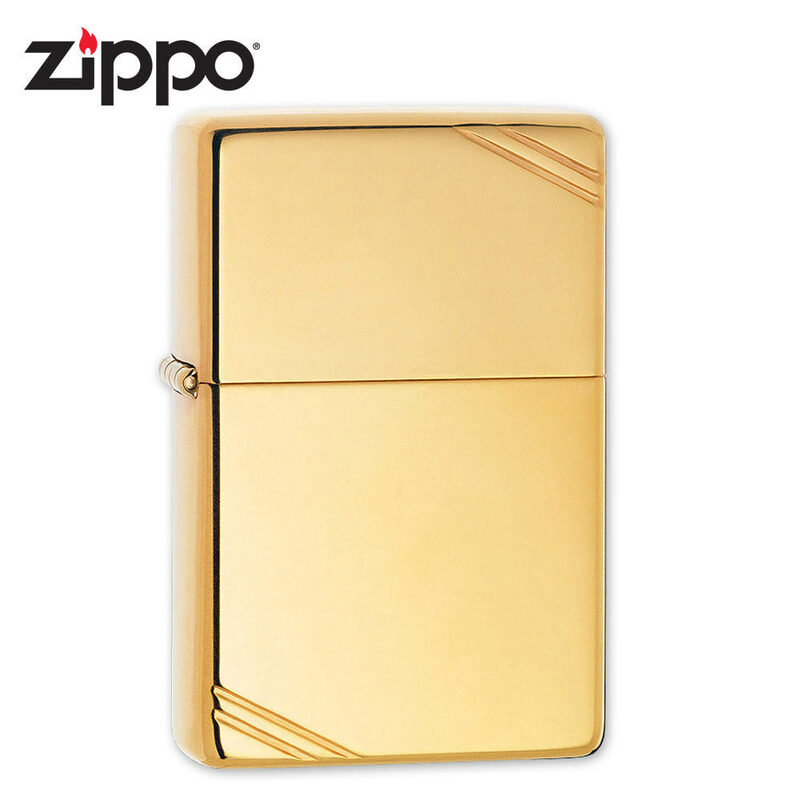 wow what a lighter, this baby has gotta be the nicest, zippo out there! The only problem is the wick, which needs to be replaced.